Spending time on the other side of a school is something I cannot recommend enough. As strange as it may sound, I have begun to appreciate that teachers and staff are human – sounds like an obvious statement but up until the age of 9 I assumed they lived in their classrooms! Not only are they human, but some of the most hard working and dedicated people. I digress. The resources I have produced are now seeping into lessons. 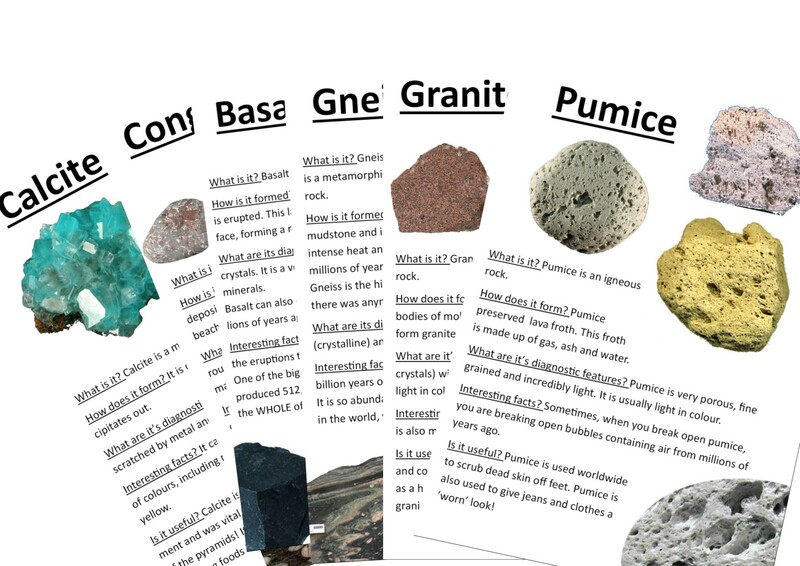 My regenerated school rock collection, along with factsheets, has been used in several science lessons with great feedback – supporting students (and staff) who lack complete understanding and appreciation of rocks. I also had the chance to teach my own lesson, allowing me to test drive the resources I have created. From this I gained not only fantastic expirence but also valuable feedback from the people who will ultimately benefit from my work. My grand plan to create a rock loaning scheme is now in full flow. I have met with the curator of a local geology museum who is willing to lend rocks, fossils and other specimens to the school. I am now spending my time creating a ‘wish list’ of specimens which is tailor-made for the school’s specifications. I am looking forward to working with and overseeing the lending of world-class specimens and seeing them in lessons.